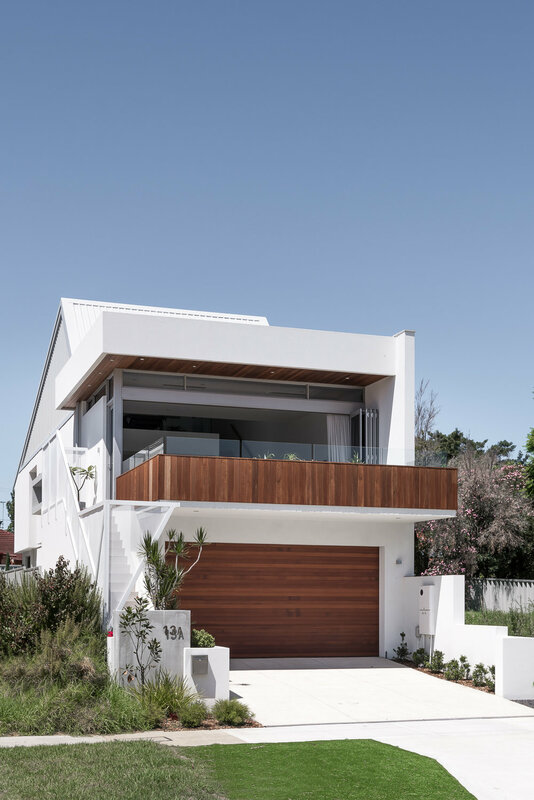 To take advantage of the Swan River and CBD skyline views, the home adopts a reverse living setup where the main living spaces of the home are positioned on the upper levels. Other traditional examples of upstairs living homes require visitors to first enter the home on the ground floor before they make their way to the upper living areas via an internal staircase. 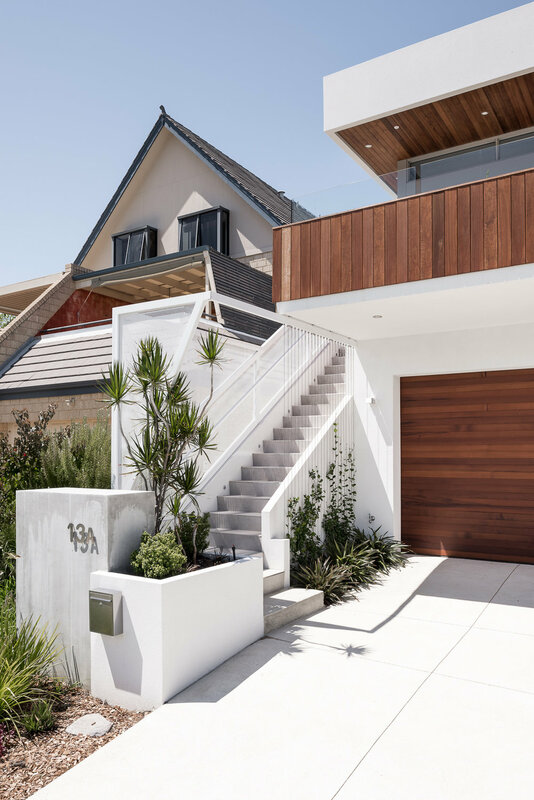 This home varies from tradition, where visitors are invited straight up and into the living spaces of the home through an external set of stairs. The external entry stairs were carefully designed to act a statement and this is where the experiential journey first begins for its guests. By having the stairs outside it allowed us to overcome some spatial and observational challenges that wouldn’t have worked if a more traditional thought process was applied to the project. Once inside the main living area of the home, an abundance of natural light filters through the deliberately placed windows, operable skylights and bi-folding doors. The ceiling heights and spatial volumes differ between the main living areas to define visual spatial boundaries whilst also enabling us to influence the space, to provide for an intimate yet playful feeling to the spaces. We used this project as an opportunity to showcase the simple fact that with clever and thoughtful design we could create a home that looks grand, is captivating, feels spacious and leaves a lasting impression on its guests.